Are you a column? Choosing your wedding gown for your body shape. The column, also known as the rectangle shape, you can be a bit straight up and down. You are tall which can allow you to carry any extra weight a little more easily. Constructed bridal gowns will do you well. With the right corsetry and draping a waist can magically appear! It doesn't matter what size you are - columns can come in large or small. But these gowns should give you a head start on what will suit you. Remember that nothing can substitute for trying gowns on. The rectangle doesn’t have any outstanding problems as such. Just not a lot of shape. 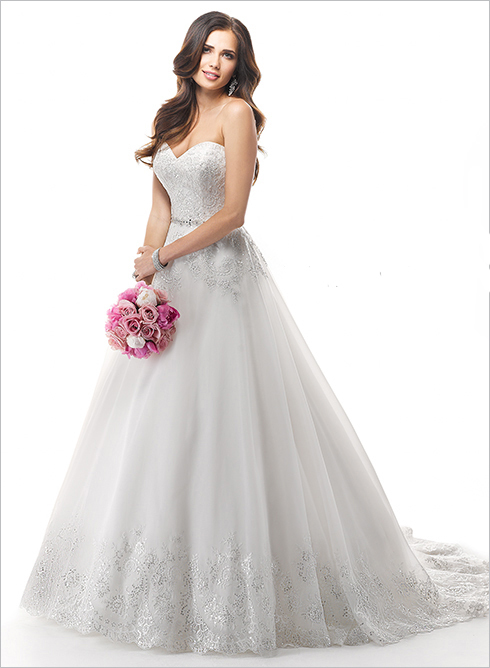 This makes you an easy bride to find a suitable gown for. All quality gowns are constructed to be flattering so they will create a waist for you. It you are a tall column then make sure you use that to your advantage and chose an elegant gown. Are you an hourglass? Choosing your wedding gown for your body shape.